Our little toddler loves going to his grandpa’s little shop in an old eastern neighbourhood to play. 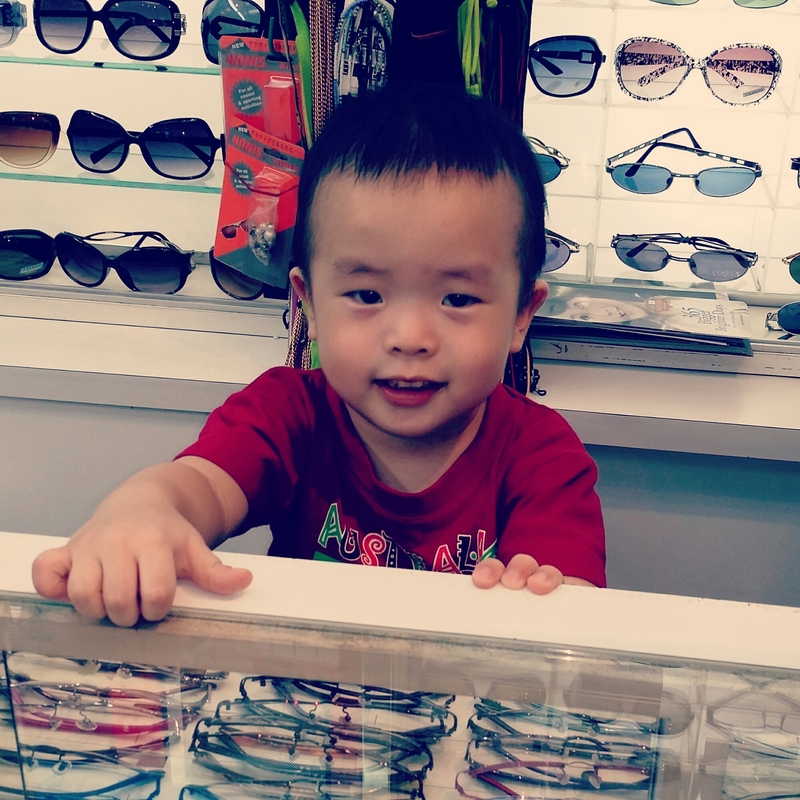 Every once in a while he would say to me, “I want go Ah Da’s glasses shop?” Ah Da means grandfather in Hakka. And every once in a while, we would bring him there as a surprise to his Ah Da who would always be delighted to have him visit. 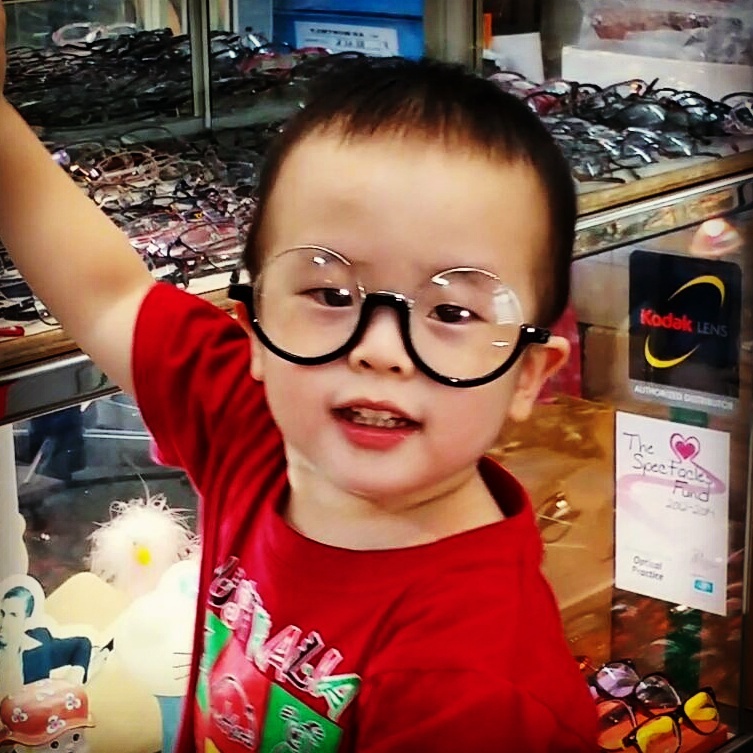 On this day, his Ah Da picked out a really cool pair of glasses for him. Doesn’t this look remind you a little of a certain animation movie character who wears green glasses and thought the sky was falling? On this day, business was slow, as it usually is in small shops in the quiet eastern neighbourhood. We decided to let Ted play shopkeeper. He had great fun selecting glasses for us to try on although he kept trying to sell them for $4 or $6 per pair. I think it’s time to start him on some business management lessons.